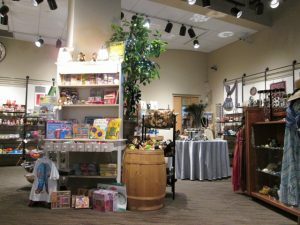 The Kenosha Public Museum’s gift shop has a great selection of unique collectibles, electric streetcar replicas, Kenosha Public Museum logo items, jewelry, children’s games and puzzles, cultural items from around the world and much more. The Kenosha Public Museum’s gift shop is the perfect place to shop for everyone on your list–including yourself! Only at the Kenosha Public Museum gift shop, Polish Pottery by Ceramika Artystyczna. First quality, hand-painted pottery in beautiful patterns, styles, and shapes. The pottery is freezer, oven, microwave, and dishwasher safe; it’s as beautiful as it is durable. Enjoy 25% off purchases in all three Museum gift shops. FOM Members receive 35% off. 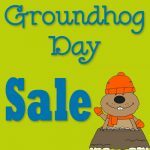 Excludes consignments, books, media. Cannot be combined with any other offer. Visit Shop For Museums where you can shop your favorite online stores and, at no extra cost to you, have a portion of your purchase amount donated to the Museums. Simply register at shopformuseums.com, select a Museum to support (Kenosha Public Museum, Dinosaur Discovery Museum, or Civil War Museum), then pick a store and start shopping. It’s that easy. Remember to start each online shopping trip at ShopforMuseums.com for your donation to count. Your support is greatly appreciated. No shopping, no hassles, and no wrapping! 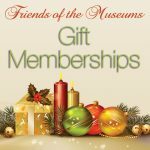 A Kenosha Public Museums membership is a great gift and one that the recipient can use all year. You may purchase a gift certificate in any denomination at the Kenosha Public Museum’s information desk or by phone at 262-653-4140. Gift certificates may be purchased for gift shop purchases, Kenosha Public Museums’ memberships, or Museums’ classes and workshops.